Home Microsoft TechBuzz Skype Can Now Translate Video Calls! When you actually stop and think about it for a moment, a service like Skype is pretty amazing. It doesn’t matter where you are in the world, Skype allows you to share a video call with any other user. We’ve used it for so long we’ve probably gotten a little used to it, but the technology behind it really is incredible. And now, it’s about to get even better. On 12/15/14, they released a preview of a new feature called Skype Translator, and it does just what it sounds like it should do – it translates video calls if the callers are speaking different languages. And it’s not something that just came out of nowhere – it’s the culmination of a ton of work over the past several years. In the preview version, it worked with English and Spanish speakers. 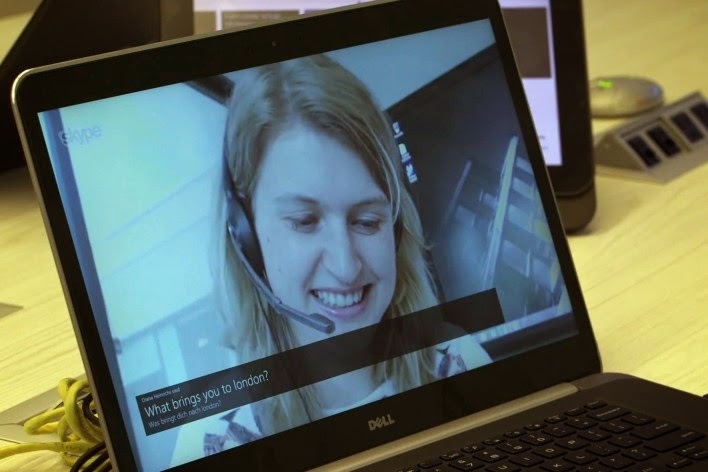 Skype hears the callers speaking, translates their words into text, and then audibly speaks the text into the correct language for the other person in real time. And here’s a neat fact: each person will hear the text in the correct accent of the other speaker. It is hopeful that this service will be especially beneficial to schools all over the world. It’s unknown when the final version of the software will be available, but I wouldn’t think it would take too awfully long. What do you think? Let us know in the comments section below!